On Tuesday, Tim Kennedy announced his retirement from MMA with a lengthy Facebook post. 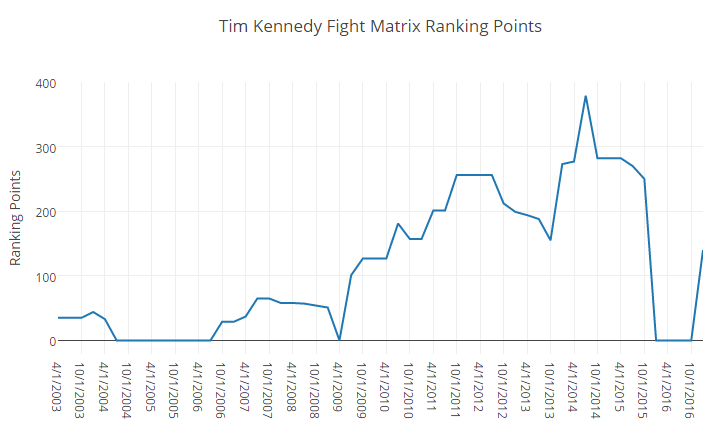 Kennedy first entered the Fight Matrix rankings in 2003 as the #42 middleweight. The following chart shows his Quarterly Generated Historical Ranking for his career.